Free drink! Where can we get that? You can get a free glass of prosecco or bottle of beer at Tom's Kitchen, a delicious Grillo Sparkling Bellini from Loch Fyne or enjoy a trendy Aperol Spritz at Pizza East Shoreditch or Kentish Town. My favourite though has to be the "special off menu drink made from Mr Lyan's extra special booze stash" at Cub in Hoxton. So cryptic and enticing all at the same time. There are so many and not all of them are boozy. Check them out. That’s amazing, but it sounds like you have to be in London to enjoy it. 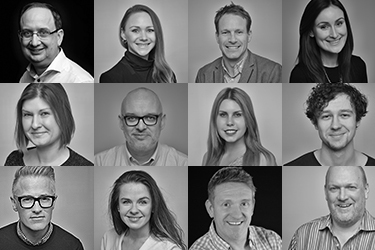 Initially we focused on building our network around the major cities, but once we had a good foot hold there, we started branching out, recruiting offers in towns and villages. We also have small chains that have retained an independent feel like Coco Di Mama, Loch Fyne and Côte who have national coverage. However, it's an ongoing process, so if you have a favourite local restaurant or bar we want to know about it! This all sounds fantastic, but I bet it’s expensive. It’s £29.99 for the year, which is less than the retail price of other dining cards out there, but offers more in terms of perceived value. Dining out is an experience or occasion. It’s more than just a means to an end. So offers should be exciting and at the types of restaurants and bars you can get excited about. What are people going to shout about more? A free sharing platter for you and your friends or 50% off on weekdays, excluding Friday evenings any day in December and Valentine's weekend! So what sort of brands would this work for? 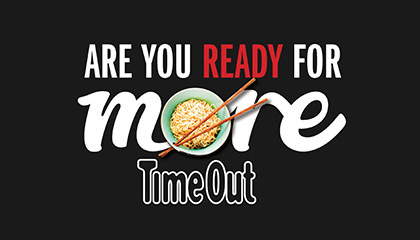 The best thing about Time Out More is it enhances the dining experience and who doesn't want that? Any brand trying to attract a younger, 'fearless' audience, those who aren't afraid to break the mould, try new things and stand out. 18-24 year olds admitted to eating out on average 28 times per month! The UK average is just eight. So any brand targeting that demographic should consider using Time Out More as an incentive to save their customers money. Student bank accounts would be great, especially as by the end of September, we'll have all major university towns on the map. Fashion would also fit as in this 'share all' social world we live in restaurants, like clothes, act more as extensions of people's personalities. We have a few cards to give away so if you would like one just give me a shout. Alternatively, if you think it’s something that could help you achieve your sales and marketing objectives then drop me an email with some details of your challenge and we'll come back with some suggestions on how you can wrap it up in a big creative idea that's as delicious as this free, gooey, doughy Nutella ring from Pizza Pilgrams.